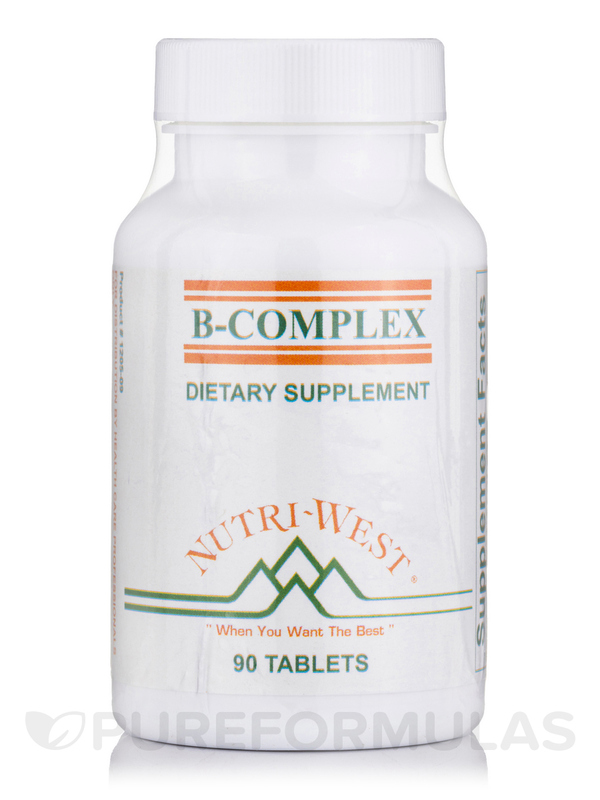 B-Complex by Nutri West satisfies all my needs for B- vitamins. I take one tablet twice a day and it increases my energy levels. I was advised to use B-Complex by Nutri West by a naturopath. It has resulted in increased energy for me. 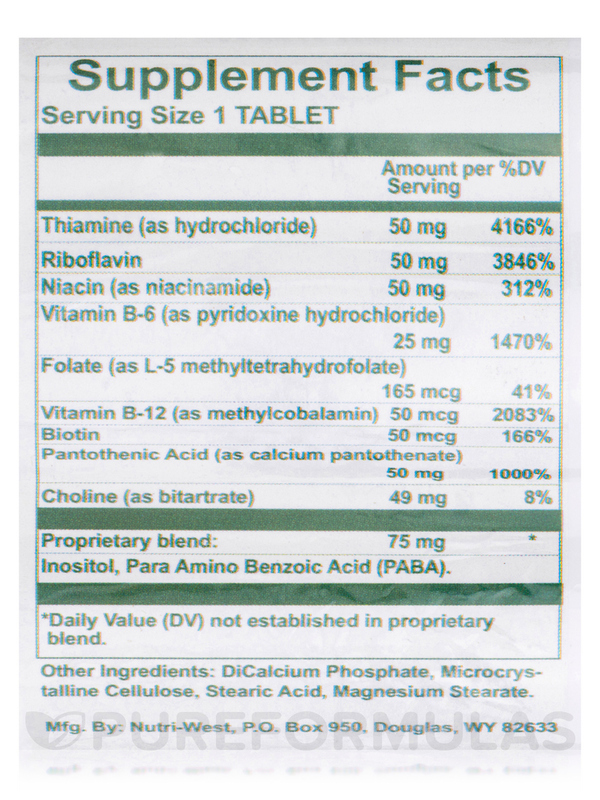 I take two tablets each day and it satisfies all the needs as regards b-vitamins. Commonly used in conjunction with many other B vitamins ( as B-Complex does)‚ thiamine may boost the immune system as well as helping with symptoms of digestive issues. Thiamine could also play a role in the metabolization of carbohydrates. This vitamin plays a role in supporting the healthy function and growth of skin‚ blood cells‚ plus more. An essential part of this B complex vitamin‚ pantothenic acid may play a role in the proper metabolization of carbohydrates‚ proteins‚ and lipids (fats). 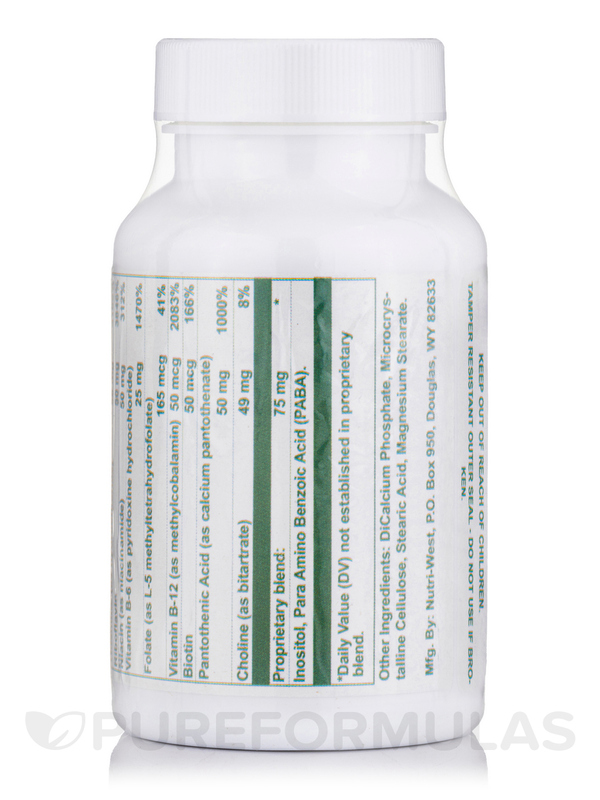 B-Complex features folate because this vitamin is essential in promoting and supporting cell growth. For instance‚ folate is used to help generate red blood cells (hemoglobin) to prevent anemia‚ a condition characterized by low levels of hemoglobin‚ putting the individual at risk for further health complications. Like other B vitamins‚ B12 is integral to supporting the production of healthy hemoglobin. 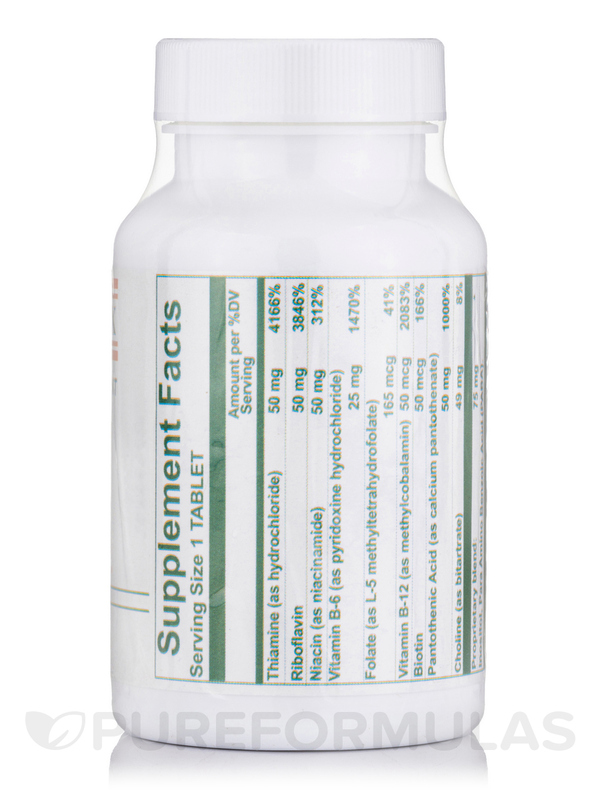 The B12 in B-Complex could also help maintain a proper functioning nervous system. Energy production and the synthesis of some fatty acids may also rely on healthy B12 levels. Choline (as bitartrate)‚ Inositol‚ Para Amino Benzoic Acid (PABA). 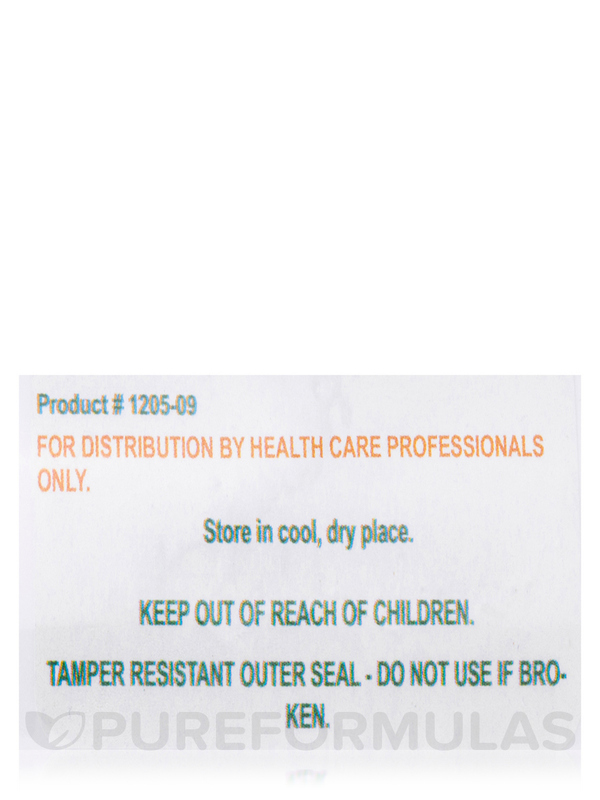 Other Ingredients: DiCalcium Phosphate‚ Microcrystalline cellulose‚ stearic acid‚ magnesium stearate. Fulfills the body needs for B-vitamins. Great quality. Immediate results on energy. I love taking B-Complex by Nutri West because it makes me feel like I have so much energy! Oh wait ... I really do have more energy when I take it! PureFormulas is the best online supplement market I have ever used! Thank you so much for your fair prices, good quality and your awesome Customer Service!!! Gives me energy. Fair price. 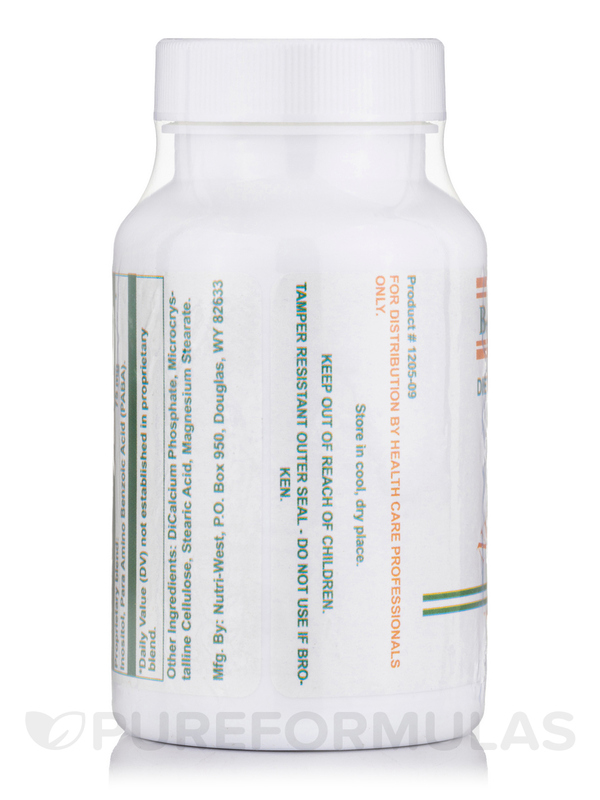 B-Complex is a High Quality product with no upset stomach or nausea. When do you expect to receive more of the B-Complex? Because of my very high level of stress, I take 6 tablets per day and have only about 1 week's worth left. Hello Barb, thank you for contacting us. B-Complex is currently in stock.